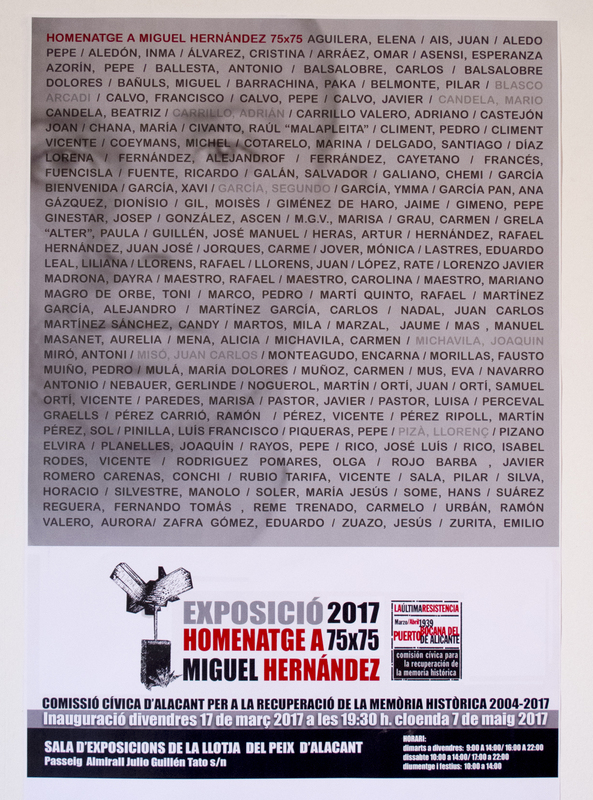 Artists in Alicante have been paying homage to the poet Miguel Hernandez to commemorate the 75th anniversary of his death. The large hall in the old lonja fish market is an excellent venue for any exhibition, but you’ll have to be quick because this wonderful display is due to end on 7 May. Check the website though as these things do sometimes get extended. Many visitors with an interest in history and culture find their way to the murals in San Isidro, near Orihuela, to see some amazing pictorial representations of the works of Miguel Hernandez. Now they can see similar art in the city of Alicante. In the exhibition, extracts from the poems are printed underneath each picture so you can get a feeling for how the work was inspired. Take a dictionary though because there is nothing in English and poetry can be hard to understand at the best of times! There are some sculptures too, and some of them are far too modern for me to have a chance of comprehending. It’s enough just to look at them with bemusement. 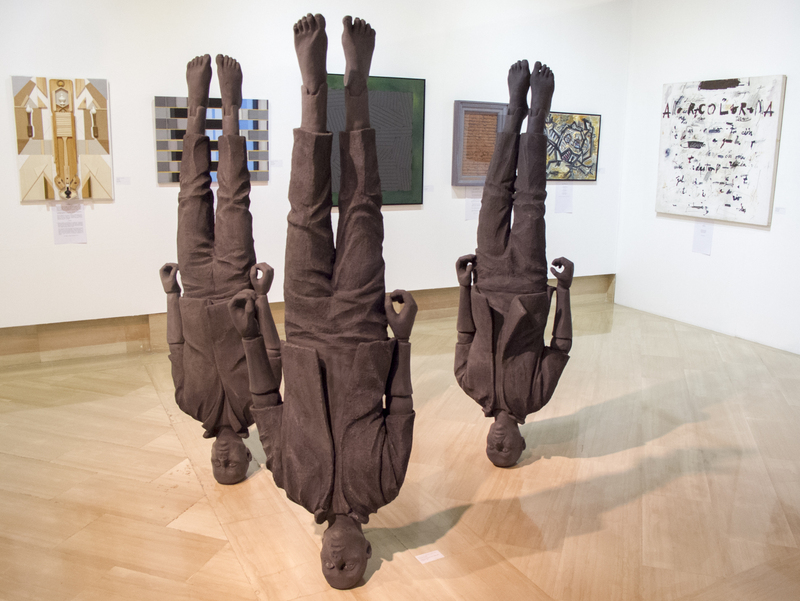 As you walk in there are three statues of Miguel Hernandez standing on his head. What’s that all about then?!!!! 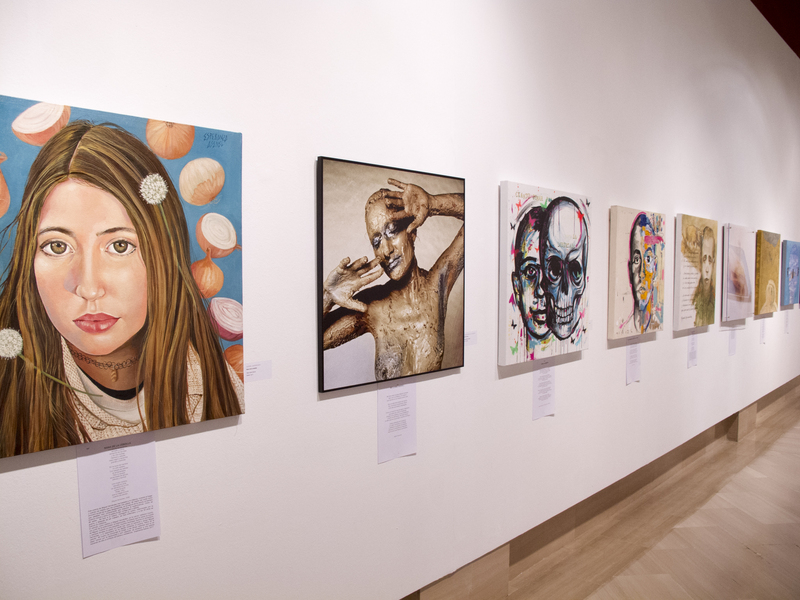 Take a look at this slideshow of some of the works and get down to Alicante as quickly as you can. Don’t go on a Monday though – like many things in Spain, it will be closed. And here are some of the extracts of the poems if you would like to try to interpret them for your self. Click on an image to enlarge it. Enjoy!